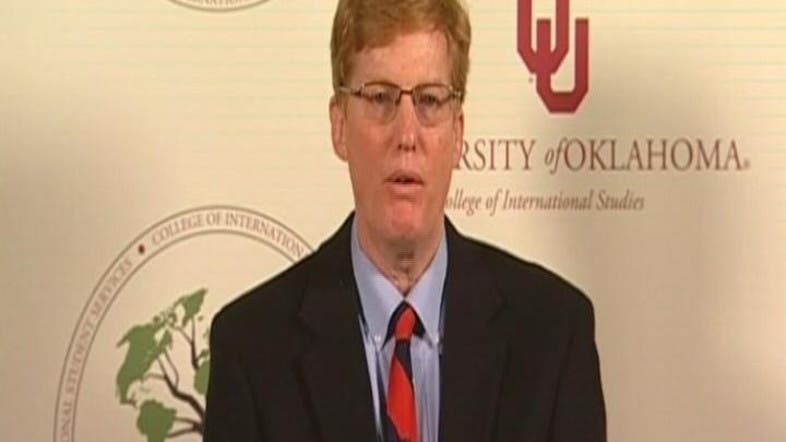 The Islamic State of Iraq and Syria (ISIS) controls a third of Iraq and a third of Syria, a land mass that is the size of Britain, Joshua Landis, a top Syria expert and the director of the University of Oklahoma's Center for Middle East Studies, told Al Arabiya's Diplomatic Avenue on Friday. “The country that ISIS is building is the size of Great Britain; it has about eight or nine million people in it,” he said. Landis said that U.S. intelligence agency C.I.A. 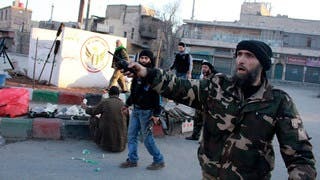 is sending arms and is dealing directly with militias fighting President Bashar al-Assad in Syria since the former head of the Supreme Military Council of the Free Syrian Army, Salim Idris, was pushed out of Syria a year ago. “All of his arms that were coming from America and other products were all stolen from him by the Islamic Front, and so the United States gave up on him…and began to just work directly with various militias,” he explained. The region needs better governments or else “there will constantly be an insurgency and radicalism,” he added. De Mistura’s plan involves “incremental freezes” to conflicts between the Syrian regime and opposition forces in certain areas of the country for humanitarian aids to come in – a plan criticized by some rebels as benefiting President Assad. Syria has been entrenched in war since 2011 - with activists claiming a death toll that exceeds 200,000 people – giving space for rival extremist groups, and mainly ISIS, to run free and armed in the country and claim territory. ISIS proclaimed itself an “Islamic Caliphate” that does not conform to the region’s borders, which were drawn by the West in the 20th century.